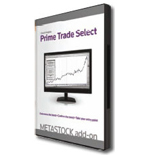 MetaStock addons are produced by third-party companies to bring additional trading systems and indicators to the software. Save 10% on the price of most of the MetaStock addons listed below! The following addons are for MetaStock Daily charts (formerly MetaStock End-of-Day) and MetaStock Real Time (formerly Metastock Pro) technical analysis software. ** Curious about compatibility? Check tab below. Powerful, cutting-edge trading signals and strategies based on the digital signal processing research of John Ehlers, author of Rocket Science for Traders and Cybernetic Analysis for Stocks and Futures. The Adaptive Cycle Toolkit, or ACT, is two completely new sets of indicators and trading tools that harness the power of Digital Signal Processing. 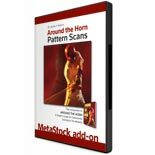 The Around the Horn Patterns Scans are a collection of daily pattern setups for MetaStock and MetaStock Professional a perfect companion to Dr. Manz's bestselling book Around the Horn, this add-on will help you find easy-to-understand, resilient, high-probability trade setups. Bollinger Bands is unique because it has the ability to adapt to each security's recent activity (designed to evolve with the market conditions). John Bollinger's time-tested research can help you "zero in" on the most profitable securities. Don Fishback's ODDS Compression for Options A New, Non-Directional, Volatility-Based Approach to Options Trading. The compression methodology by Don Fishback compares a stock price to its short and long term methodologies. Dr. Elder's EnhancedTrading Room contains the indicators found in Dr. Alexander Elder's books, "Trading for a Living" and "Come into my Trading Room," which are not already found in the MetaStock. In addition, it includes two new unpublished indicators - the Market Thermometer and SafeZone stop. For more than 20 years, Dr. Issy Bacher's Cycle Trends Plus has been used by thousands of investors and traders in South Africa ,the UK and Australia to predict the future trends of the financial markets. These tried and tested cycle indicators are now available to you in the Cycle Trends Plus Add-on for MetaStock. Dr. Stoxx's Trend Trading Toolkit combines some of the most popular trending technical analysis indicators into one powerful add-on featuring explorations, expert advisors, and templates. FX Trader's Advantage includes custom indicators, explorations, system tests, and expert advisors that focus on trading currency pairs. All of the tools are based on the same underlying algorithms, but each provides a unique way of analyzing the results. Before now, creating separate trading systems for all your stocks was a daunting task. With the ICE addon, you can create and optimize your own trading systems with just a few mouse clicks - and NO formula writing or programming required! JBL Risk Manager gives you Automatic Trade/Position Sizing, Initial Stop and Trailing Stop exit price calculations, Multiple Portfolios, Short & Long trades, integrates with your MetaStock database, Stock Split Adjustment, Performance: Win/Loss ratios, Trade Expectancy with permission from The Van Tharp Institute System Quality Number, R-Multiples, and R-Expectancy. The Scoupe Suite features the Scoupe Indicator which is actually 3 separate components because trading is rarely conquered without a layered approach. It also includes the API end of day trading system for stock indexes, ETF's, equities and options which takes a purely mechanical approach for the short term swing trader looking to trade in the 1 to 10-day range. Great for options traders and option credit spread traders!. The Squeeze System attempts to identify periods of consolidation in the market. By identifying calm periods, you have a better opportunity of getting into trades with potential for larger moves. The John Murphy's Chart Pattern Recognition says chart patterns are simply defined as pictures or formations made by the price movements of the stocks or commodities you're examining. Numerous studies have repeatedly shown that these patterns have excellent predictive value. Marc Belnick's Bullish-Buy & Bearish-Sell is designed first to identify the trend of the securities you are trading. It will then guide you through the trade giving you buy signals with profit targets, initial stops, and ongoing stops. It also includes a robust money management system to help you mitigate risk and achieve favorable risk-adjusted returns. Mark Leibovit's Volume Reversal ToolKit serves to identify and validate a particular type of reversal environment, where a shift in market control from buyers to sellers or sellers to buyers occurs, resulting in a change in market direction. Martin Pring’s Special K combines short, intermediate and long-term time frames into one series, and often peaks and troughs with actual bull and bear market turning points. It can be used in many ways. MetaSwing 4.0 combines short, intermediate and long-term time frames into one series, and often peaks and troughs with actual bull and bear market turning points. It can be used in many ways. Nison's Candlesticks Unleashed: Generate reliable trading signals with this ingenious trading system based on Steve Nison's favorite candlestick signals and market trends. Panos Panagiotou's DomiStock features Expert Advisors to tell you exactly why to get into and out of a trade, and each one includes trend indicators to let you know if you should be bullish, bearish, or neutral. Price Headley's Big Trends Toolkit features Expert Advisors to tell you exactly why to get into and out of a trade, and each one includes trend indicators to let you know if you should be bullish, bearish, or neutral. Rick Saddler's Patterns for Profit: Long-time trading coach and founder of Hit & Run Candlesticks, Rick Saddler has developed a system of 4 patterns based on his experience that can help you better identify winning trades. Rob Booker's Knoxville Divergence: Long-time trading coach and founder of Hit & Run Candlesticks, Rick Saddler has developed a system of 4 patterns based on his experience that can help you better identify winning trades. Rob Hoffman's Pro Trader Pack ELITE: For the first time ever, Rob Hoffman's real time alerts and the ability to scan the markets are available to the public exclusively in MetaStock. The Candle Profit System, designed by Steve Bigalow, is comprised of his favorite candlestick signals and pattern formations that have the highest potential for making big profits. Steve Ruffley's TraderMaker PRO Annual Subscription is like having a professional trader personally talking you through every instrument on every time frame You get all the assistance you need to make sure your trades are as accurate and timely as possible. StockPicker's Power Trend Zone is a trend following methodology. It was created in cooperation by Henrik Jonson of Stock Picker and Jeffrey Gibby of MetaStock. This system was created using proprietary indicators. It is designed to take advantage of the inherent upward bias found in Stocks. 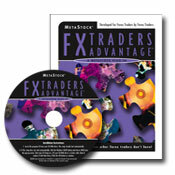 Stuart McPhee's Trade Launch Systems, is comprised primarily of two trading methods. The Altitude Trading system, and the Ignition System. Author of the best selling book Trading in a Nutshell, Stuart McPhee has personally coached high net worth traders from all over the world. Superior Profit's CUE Global is a Complete, Unambiguous, Easy to use trading system. The CUE Global program uses its 19 Sonar Explorations to help you identify Low Risk, High Reward trades in Trending, Reversing, and Exhausting Market situations. Jake Bernstein's technical signals include a collection of Jake's favorite trading methodologies. They are designed to work with Stocks, Futures, and Forex. These systems will give you crystal clear entry points, stop losses, and profit targets. A MetaStock exclusive, Wendy Kirkland's Automated Swing Trader Add-on employs her signature research to provide traders with precision buy and sell signals. The Automated Swing Trader takes into account overbought/oversold conditions, new trend opportunities, and confirmation indicators, to give you crystal clear entry and exit signals on your chart. Most Add-Ons work for both MetaStock Pro and MetaStock versions of MetaStock. However, the table below shows what we recommend.